Our annual conference is NOT just for young people! I had an email today from someone who thinks that the annual conference is just for young people and their families - a mistake!! The womb twin survivors in any family may be YOU! 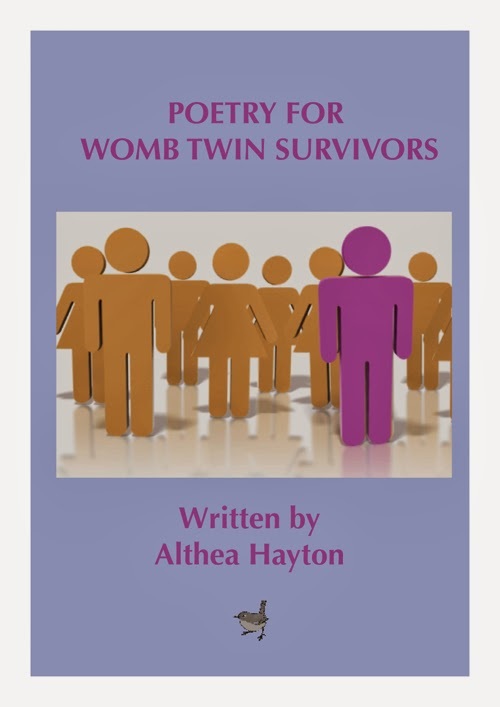 Claudia will be speaking about her new workbook for young womb twin survivors, but the theme "A womb twin survivor in the family" is universal, for all ages. The Open Space Event may be on any topic, the people who turn up decide that. The healing workshops on the Sunday will be arranged by whoever is there. Its a grand chance to be together, all staying in the same place, all eating together taking walks, having lots of chats etc. The prices are reasonable and include ALL food etc. Make your booking now online here and we will arrange payment with you later. Book now, don't miss out! It will be the best yet! Everyone is welcome! 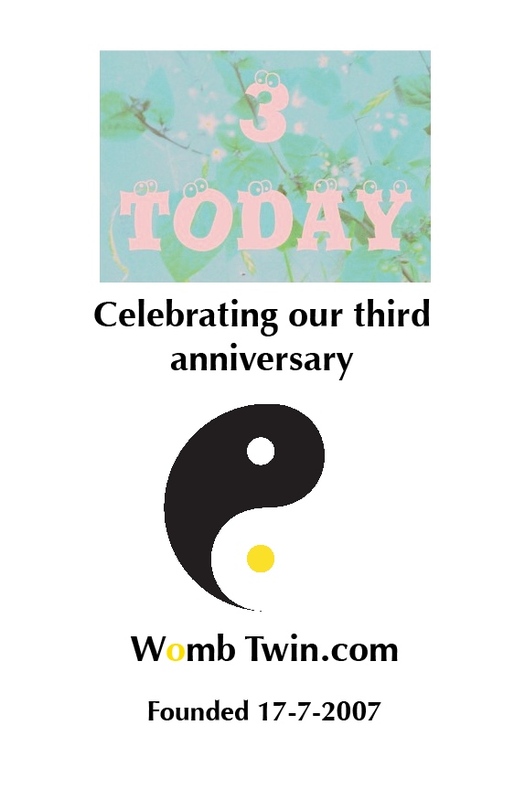 Het heeft wat voeten in de aarde gehad, maar onze Belgische website wombtwin.be is geboren! Ga zeker eens een kijkje nemen op www.wombtwin.be. Op zaterdag 18 september 2010 organiseren wij ons eerste praatcafé! Dit is volledig gratis. Iedereen die belangstelling heeft, is van harte welkom. Wombtwincafé is een praatcafé voor en door wombtwin survivors. Het is een samenkomen van mensen, die zelf wombtwin survivor (voelen te) zijn of die op één of andere manier in contact komen met wombtwin survivors. In een ontspannen sfeer kan je kennis maken met anderen, nuttige informatie opdoen en ervaringen uitwisselen. Elk praatcafé zal eerst een ander aspect van het wombtwin-survivor-zijn worden belicht. Nadien is er tijd om onderling van gedachten te wisselen en vragen te stellen, te 'praten' met mekaar. Gewoon luisteren kan uiteraard net zo goed. We hopen jullie daar te ontmoeten. It has taken some time, but the new belgian website wombtwin.be is born! Go and have a look on www.wombtwin.be. Our first event will be our talk cafe, held on saturday, september 18th 2010. Participation is free. Everybody who is interested, is more than welcome. Wombtwincafé is a talk cafe made by and for wombtwin survivors. It is a place where you can meet people, who (feel that they) are wombtwin survivors themselves or in some way are in contact with wombtwin survivors. In our wombtwincafe you can meet other people, pick up useful information and share your experiences. Each time we meet, another topic of being a wombtwin survivor will be discussed. After that, there is time to share your thoughts and ask questions, to 'talk' with each other. If you only want to listen, that is fine as well. For more info, go to www.wombtwin.be.